Let’s all take a moment of silence and be thankful Sean completed his work out and got a shower in before the episode started. I’m sure everyone else was bummed, but all the husbands watching were starting to boycott. First off, can we talk about how excited these girls were to leave the mansion and head to… (Insert drum roll here, please) Whitefish, Mont.? So we cut to Lindsay’s date. This is getting serious, everyone! That was pretty adorable when she got the date card and teared up. On the date, she put it down with the kissing — and I’m starting to feel like I underestimated her. The girl that walked out of the limo all Patrick Swazted has come a long way, and I like her more and more. Group Date! These are my favorites. I can’t get over Selma and Robyn. How did this team win after they rowed in circles for 15 minutes? I was laughing at how pumped Selma got — she turned all ghetto fabulous. Competitive much? The shot of Desiree slamming that goat milk down her throat was so sick. And after all that, she didn’t even get the rose. Whaaaaat? I’m calling out a Bachelor conspiracy on this one. Jackie was a bit stiff and the conversation was forced, but she is SO. MUCH. HOTTER. Maybe with time she could have felt more comfortable. Oh well, I guess we’ll never find out. Time for the rose ceremony, and Tierra was at it again! The one thing that I took from all the Tie-antrims was that Sean is finally getting to the bottom of Tierra’s nonsense. It said a lot that he confided in Leslie about the situation. She gave him some good insight. Let’s just hope Sean listens soon, or we are all going to be yelling at our TVs for weeks to come! 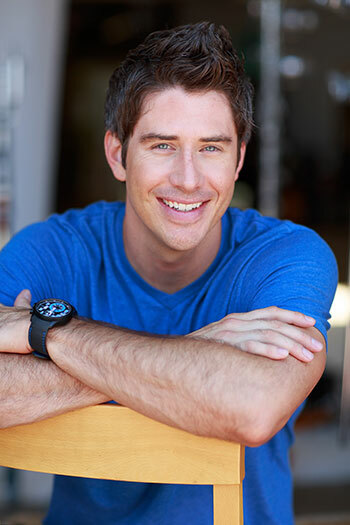 Follow Arie on Twitter @Ariejr.